There is no better, and no worse time for a hot jersey take than immediately after the design is revealed to the public. Such was the case about a week and a half ago when Nike and the various Ice Hockey Federations revealed many of the uniforms that will be worn at the 2018 Olympic and Paralympic Games in Pyeongchang, South Korea. I had the benefit of my first impression being an in-person one, as Nike reached out with an invitation to make the long trek across, well, four or five major intersections to see the unveiling of the designs last Wednesday morning. It was a neat little setup – they had a myriad of guests to explain the vision they had behind the look and how they feel it integrates into the games. They also made sure we all had a chance to see them in person; first revealed by players skating in on synthetic ice, and later pinned up for us to get a closer look at the minute details. The immediate public reaction was interesting, as there was a clear order of preference, but a sizeable share of people who would prefer that they did something else entirely. Admittedly, they were a little different than what fans have been made used to in recent years. 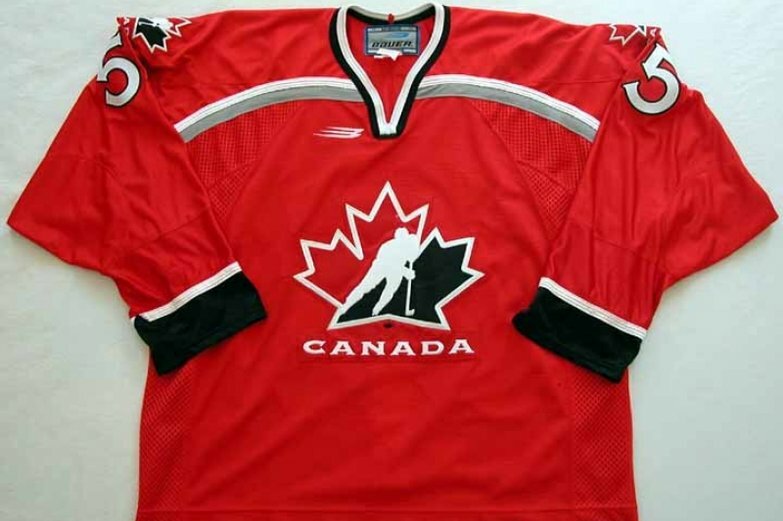 The wavy arms and emblem that went from Hockey Canada derivative to hyper-modern definitely had a non-traditionalist feel, which can be jarring given that Canada has had their share of iconic uniforms over the years. 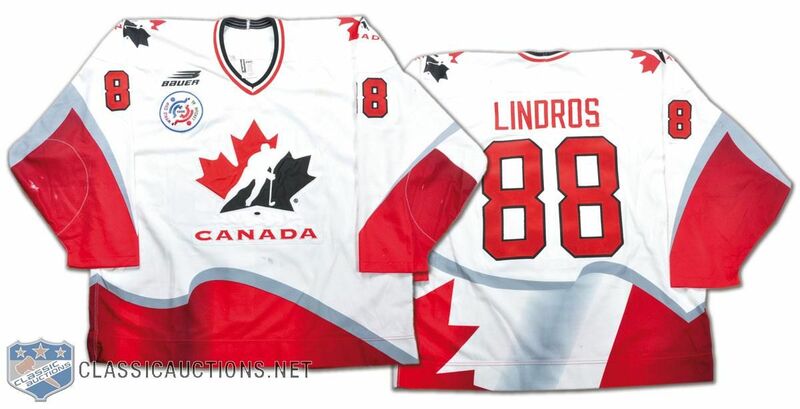 Then again, legendary designs like 1972 and 1987 were also hyper-modern for their time, and while Canada has gone traditional in some tournament years (The 2002 and 2010 Olympics, and 2004 World Cup most notably), there has typically been some experimentation in the designs. Even if you only go back 20 or so years, you get the waves of the 1996 World Cup, the circular stripes of Nagano 98, the Swift jerseys of 2006, and the Petro-Canada (and, uhh, something else) looking things of 2014. Be it stadium designs, marketing material, or uniforms, most Olympic branding across the world is developed with a sense of modernism in mind. The Games come closer to an idea of selling hope rather than nostalgia, and that sense of moving forward is portrayed in its imagery. For that reason, it stands out to see such a clamour of uniform traditionalism coming specifically from the hockey community. Sure, there are great classic looks out there, but when you’re trying to designing something to encapsulate the daydreams you have for a two-week stretch, “let’s look like we did in 1962” isn’t always reflective of that. Of course, you also want the uniform to be good. Looking ahead is great, but we also don’t want to get into “dump a paint can on the ground and call it post-modern art” territory. Having given the designs a few days to marinate, I’ve warmed up to them a fair bit. The biggest contention point appears to be the “wavy” arm pattern, which is being shared by many teams and looks close to identical on the United States, Slovakia, South Korea, Japan, Germany, and Finland uniforms. 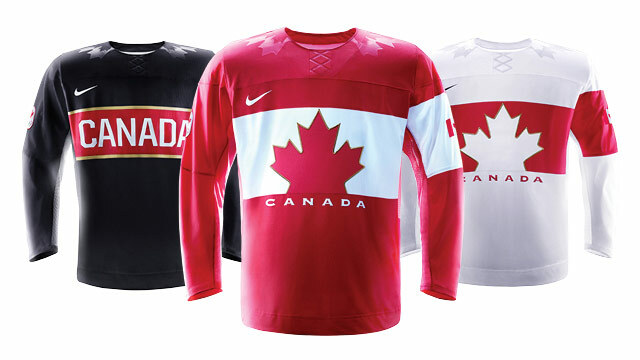 Honestly, stock photos don’t do the look justice, and they might work best on Canada’s sweater than anybody else’s. While they’re just an accessory to the look for some, on this jersey they double as a sublimated, futuristic looking version of the nation’s flag. The logo has the same faux-embossed look to match the effect, but I still think that it could be the weaker link of the design. More than anything, my biggest gripe is the large “CANADA” under the emblem; it’s more pronounced than it’s been on a National Team jersey in over 20 years, on a design that perhaps needs it the least. 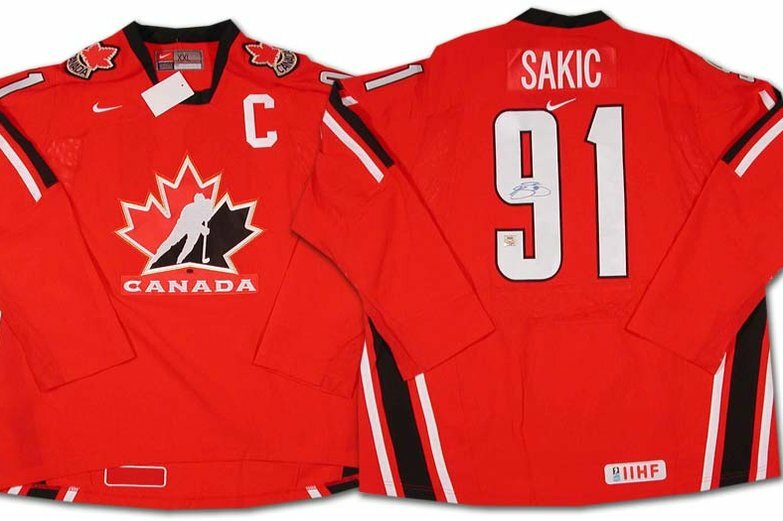 For fun, I did this to see how the Red Jersey would look without the text, with the Hockey Canada logo, or with the CANADA 150 design that we’ve spent the whole year being sold. Unfortunately, it’s a bit too late to make that change. It’s a bit unfortunate because the white emblem and huge texts gives it a bit more of a “only available at The Bay” kind of vibe than I bet they were hoping for, but I will give it the credit of looking better in-the-flesh than it does on the stock photos. A lot of the other little details are nice, though. The Olympic Committee patch looks solid in the corner, reminding me a lot of the crest-swap on the Olympic Soccer. The flag patch seems redundant, but that goes in the same category as the text. The embossed Nike Swoosh looks nice in person, and the lettering on the back is fantastic, and possibly the best part of the whole look. Material-wise, I was pretty impressed with them as well. I hope to have a sweater in-hand again soon and I’ll go into some more detail in a post here or elsewhere, but there’s a big difference between where Nike started to re-invent the wheel in 2006 and where the uniforms are now. Nike’s pitch last week was one of breathability and light-weight material in all the right spots, which is usually a warning sign for a cheap feeling sweater, but wasn’t in this case. Leaving the event, I was pretty certain that Canada had revealed a pretty good jersey and two poor ones, with the best of the bunch being the least likely to be used. I still think the black uniform is the nicest, and the one I’m looking forward to adding to my collection, but after a few sleeps, I think they fared pretty well. Again, these would be vastly improved without some of the redundancies (text, bonus flags), but the top-down uniform is one that will look good on the ice and portrays a pretty cool modern take on the flag. Besides, if any of our teams do anything worth remembering in February, having something different enough to invoke that memory will probably be a good thing.